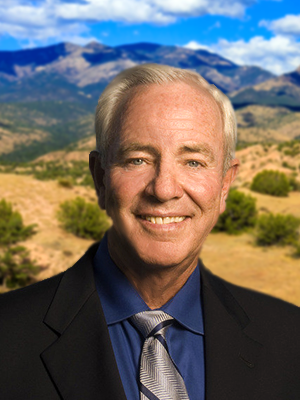 James E. Haworth, an Associate Broker of West Wood Realty, has been involved in development and real estate projects in New Mexico for nearly 50 years. Jim specializes in farm and ranch sales, commercial site selection, and vacant land sales and development. 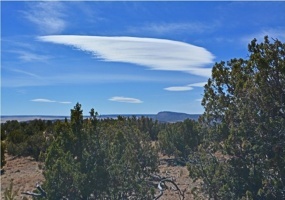 Jim was the Transaction Broker for the Galisteo Basin Preserve adjacent to the Commonweal Conservancy, a nonprofit conservation-based community development organization. Commonweal Conservancy negotiated an agreement to purchase the Preserve, previously known as the Thornton Ranch. This 12,800-acre conservation development project is located 15 miles southeast of Santa Fe, New Mexico, in the central Galisteo Basin. Jim has several other business interests. Among them he is a partner in Haworth Family Ltd., raising quarter horses in New Mexico and Texas; he was a principal in Zero Debt, Ltd., which recently sold; was an owner of 505 Chili Co.; and was one of the founding partners of Albuquerque Title Company. Jim was one of the partners and developers of the Renaissance project, a 240-acre mixed-use development, located adjacent to I-25 in Albuquerque. It was the largest mixed-use development in New Mexico at the time of its development. He was also one of the developers of High Resort Center in Rio Rancho. Thornton Ranch2,792.84 Acres Available (3,550. High Country L-Bar RanchA magnificent ranch with some of the most awe-inspiring views in New Mexico. The ranch has 19,530+- deeded acres and 1,195.10 state leased acres.The area is rich in Spanish colonial and Anasazi Indian culture. Indian ruins, battlegrounds, and a State of NM registered historic site located on the ranch.